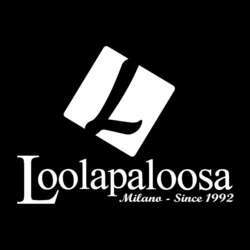 Please join us Saturday, 30th of March for a relaxed networking with co-expatriates at Loolapaloosa - Near Garibaldi metro station! There will be a buffet with delicious food freshly made, so make sure you turn up early and with rumbling tummies. Albatross Members enjoy reduced entrance and selected drinks. The entrance fee for Basic Members is 13€. We'll have a reserved area for our InterNations event. THIS EVENT IS FOR EXPATS. Only expats are allowed to sign up and attend this event! If you wish to bring EXPAT GUESTS, please send me their names! GUEST LIST ONLY: After the guest list is closed, anybody who is not on the guest list will not be allowed to attend the event. The guest list will be checked at the entrance till 22:00, so please confirm your attendance by clicking the Attend button. It'll be a great event and definitely one to remember. See you all there!